In witchcraft, there is no one book that contains all of our knowledge of the practice. Instead, we rely on dozens, if not hundreds, of books to learn our Craft and our place in it. We buy books on a range of witchy and occult topics, filling bookshelf after bookshelf with our collection in hopes that we can learn everything we can. I love reading books on witchcraft and the occult. I love to learn about other people's experiences and the knowledge they have accumulated through years of study and practice. Unfortunately, much of witchcraft is based on practices handed down by witches of European descent. Just about every single book on witchcraft rehashes the same old information, from the Celtic Wheel of the Year to the elements and cardinal directions. Almost all of these practices come from Europe, specifically England, Ireland, and Scotland, with some Norse thrown in there if they talk about runes. Sometimes you will see a bit of Hindu and Native American traditions thrown into the mix, but otherwise, it's largely English (unless you read specifically about a different tradition) There is nothing wrong with this; modern witchcraft and Wicca are based on English and Irish traditions, so it makes sense that most books pull from the same sources that began this resurgence of witchcraft around the world in the first place. However, the longer I have practiced, the more I have come to realize that "traditional" European witchcraft isn't always possible, especially for those that do not live in England! What do you mean, "it isn't possible?" Every book on my shelf makes references to trees and herbs and even some wildlife that are mostly found in England or in northern North America. If you have been keeping up with me, you know I do not live in England, and I most certainly do not live up North, as much as I may want to. I am stuck in Georgia, a very southern state with hair-raisingly high humidity, melt-your-skin-off summers, and depressingly, rainy winters. I live in the northern part of Georgia, where we have mountains and forests, but just a little south of me the entire terrane changes. Needless to say, I don't have access to rowan or birch trees, hedgerows full of healing herbs and sweet fruits, fresh maple syrup, or even snow (although occasionally we are graced with its presence). Instead, I have pine trees and live oaks, poison ivy, Spanish moss, fire ants, and muscadines. Very different plants grow down here and a lot of those "witchy" plants books always talk about won't survive the summers here, so even if I wanted to grow them in my garden, they wouldn't make it. This is why learning to practice local witchcraft is so important, but where is a witch to begin? Local witchcraft refers to working with the plants, animals, crystals, and spirits of the land where you live. Witchcraft, especially traditional witchcraft, which is historical, cultural, and folkloric in nature, is highly based on animism. Animism is the belief that all things, living and nonliving, have a spirit and thus vibrate with its own energy. This practice can easily be applied to any witch, no matter their location. Here are some ways you can introduce local witchcraft into your magical workings. This is first and foremost the most important part of local witchcraft. Sit in a local park, go for a hike, or even sit in your front yard. Spend some time relaxing and observing the world around you. Take note of anything or everything you see. Attempt to feel the personality and atmosphere of the place. This in and of itself is a very magical experience. If you want to, write some of these observations down so you can research them later to see their significance or how you can use certain living and nonliving things from your local environment in your spell work. The notes you take while you are just observing will help you later and can get you started on new pages in your Grimoire or Book of Shadows! 2. Adjust your liturgy to your location. Used a big word there! Liturgy is the form or formula you use during a religious or spiritual act. What I mean to say is, when you set up your altar, cast your circle, or create your magical associations for the elements, use the land around you to help. Many people rely on traditional references to create their altar or pentacle, but it doesn't make sense to place Water to the West if there is a large lake or ocean to your East. Use your locale to determine the placement of the elements. My personal associations are to have Earth associated with North because there are mountains just North of me; Water is East because a lake and the Atlantic Ocean are to my East; Fire is South because the equator is South where the temperatures are much hotter than here; and finally Air is West because the vast, windy plains are to my West. For those of you in the Southern hemisphere, you may wish to place Fire North, as the equator is North of you. If there is a mountain range directly to your East, put Earth East. Using the land to determine your placement of the elements will enhance your craft and make it more relatable to you. Rearranging my associations has completely changed my magic for the better. 3. Learn local folklore and visit local sacred spaces. No matter where you are if you do enough digging and ask the right questions, you can find some amazing folktales. Hedgecraft is largely folkloric in nature, so using local legends and stories in your craft is important. The stories they tell in Britain about the dandelion are great, and you can definitely use those tales in your magical workings, especially if you are of English descent. I am, so I use it because I connect with it, but my family is has a tale of its own about dandelions from Arkansas, where my dad was born, and I like to use it too. Go down to your local library and see what you can find. Talk to locals who have lived in your area all their lives, especially elderly people. They may not even realize the stories they have passed down are magical folktales, but you will. Go and visit local historical sites, which are usually sacred. For example, I live close to the Kennesaw Mountain Battle Field, which was the location of a pretty large battle during the Civil War. 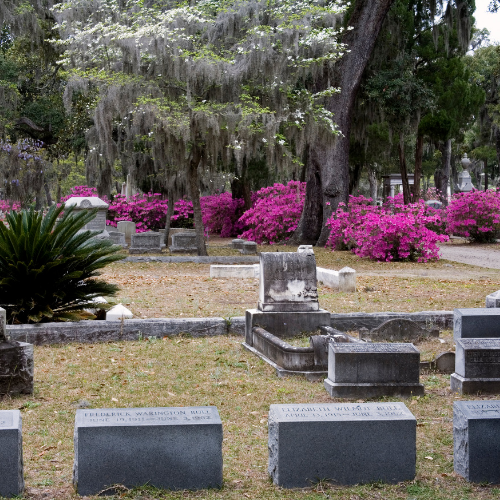 In Atlanta, Macon, and Savannah there are three large, famous graveyards that hold some pretty powerful magic if I do say so myself. On the other side of the lake is a beautiful state park. These places have their own stories and items I can use in my practice. For example, I can pick up grave dirt in Savannah, with permission and an offering of course, or holy water from the Chattahoochee River in Helen that comes straight from the mountains. Find the sacred places in your area and see what they have to offer. Remember to offer a biodegradable offering and only take a little bit so you don't disturb the local ecosystem. 4. Identify seasonal changes and major natural forces of nature. at which times? I eat summer squash and blackberries during Litha, instead of Lammas or Mabon. During Ostara, we may have strawberries. Don't just focus on the seasons though. Are there certain storms or wildfires that are common in your area? How can you use them in your craft? 5. Create a genius loci profile. Genius loci means "spirit of place." 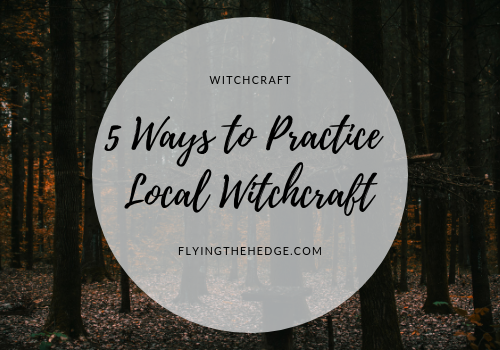 As a hedgewitch, it is part of my job to learn about the local spirits, whether they are the spirits of the Otherworld or the spirits that reside in local plants, animals, crystals, and other nonliving objects. Its all well and good to order herbs and crystals offline or to buy them in a shop down the street or using images of animals in foreign countries in your spellwork. However, using local herbs, crystals, and animals often enhances your magic because the land, and therefore local spirits, are more familiar with those creatures. Learn about the species in your area, both plant and animal. Research endangered and invasive species. How can you preserve those endangered species? What can you do to stop invasive species? If it's an invasive plant, learn its properties and pull it up! Incorporate it into your magical workings and save the local ecosystem at the same time. Research local animals and learn about myths and magical associations. Study the local plants and learn their magical and medicinal properties, scientific names, as well as those that are edible. Wildcrafting is such a joy! When you are doing this, remember to keep a detailed record in your Grimoire or Book of Shadows as a reference. If you practice witchcraft and are looking to increase your understanding and enhance your practice, I strongly suggest you learn about where you live. 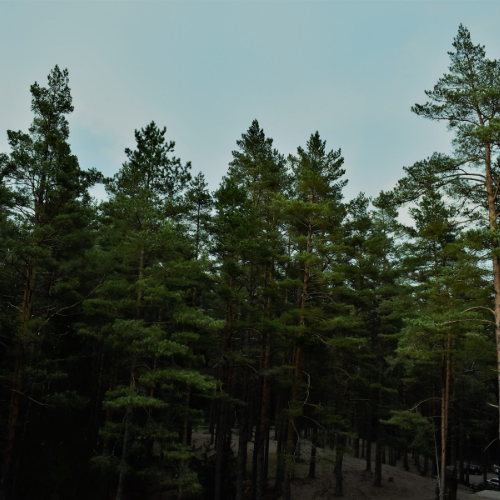 When you use the land around you in your personal practice, it makes everything more relatable to you and the spirits around you, thus making everything magical. Do you use your location in your magical practice? Let me know in the comments below! Looking to learn more? Here are some suggestions on where to get started.